Happy Monday and May the Fourth be with you, friends. 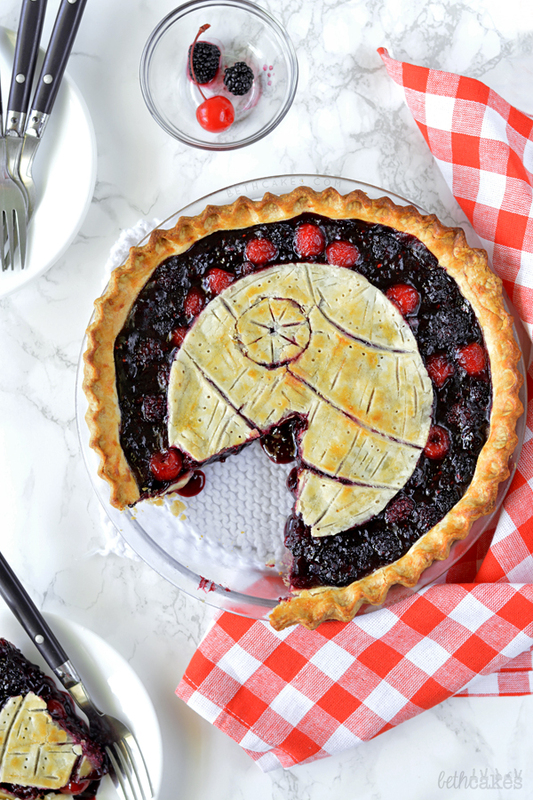 It’s Star Wars day, and since the new movie trailer was released a couple weeks ago, I figured this was the perfect time to celebrate with a pie. Especially since it’s berry season too! I have to admit though, I used two bags of frozen blackberries and a jar of maraschino cherries for this pie. 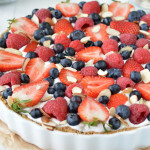 You can substitute in fresh berries, which I think you should definitely do if you’re into that. The tiny little boxes of fresh blackberries in my grocery store’s produce section were a little pricey for me, especially when I was going to need enough to fill a whole pie. I didn’t see any fresh cherries either. Maybe later in the summer I’ll make this again with the fresh stuff. I am SO excited to be sharing this pie with you. I was pretty much a happy, little child when I was making it yesterday. I wasn’t sure how the Death Star would hold up in the oven or if the little lines and dots would turn out. Thankfully they did, and I can assure you, it was much easier to make than you might think. You just need to cut a 6 inch circle out of some pie crust. Then use a knife to make the horizontal, slightly curved lines. Divide the horizontal rows into boxes, then add in some extra vertical lines and dots. I kind of free-handed the design while looking at a photo of the real thing on my laptop. Definitely go ahead and make a line around the eye/lens thingy. I use a small cup to make an indention, but it sort of disappeared while the pie was baking. The trickiest part of this is making sure your knife doesn’t go all the way through the pie crust. Try to lay it on the pie all in one piece if you can. You’ll start out this pie by cooking half of the blackberries with some sugar, cornstarch, and vanilla bean seeds. Then all of that will cook until you have a jelly-like substance. The rest of the blackberries and cherries are folded into the mixture, which will help your pie filling keep its shape when you cut out a slice. 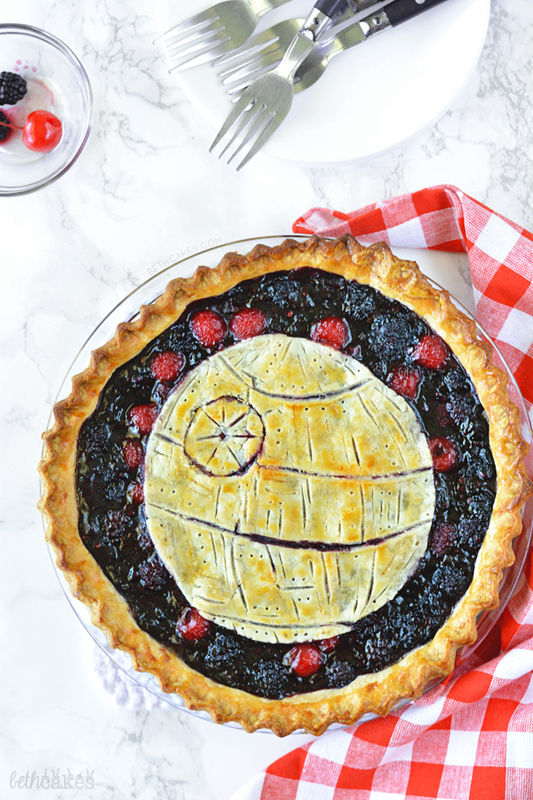 I feel like this pie could be seen as the Official Pie of the Empire because of the Death Star and all. 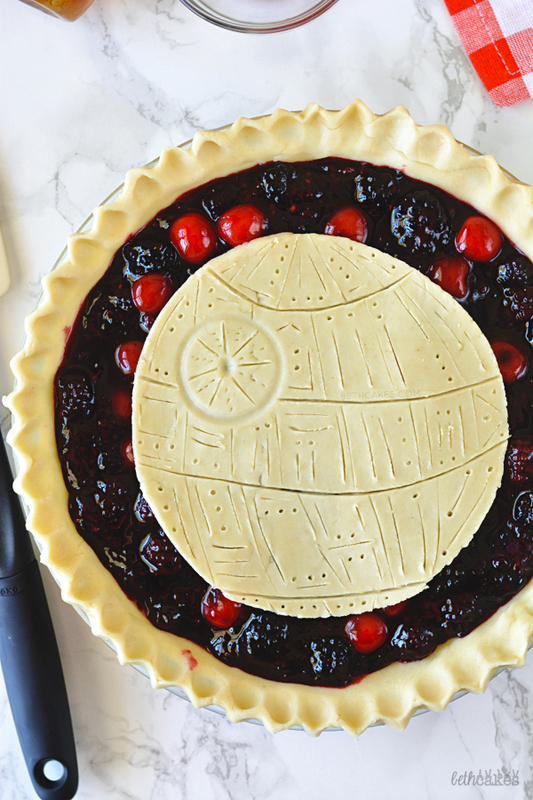 But I feel like it could also be seen as the Official Pie of the Rebel Alliance because you get to dig in and destroy the Death Star with your fork. So do with that what you will. May the Force be with you today, friends! To make the Death Star design, cut out a 6 inch circle from one the pie dough. Use a sharp knife to draw the designs. (I looked at a photo of the Death Star on my laptop while doing this.) Let this sit in the fridge while you make the pie filling. In a medium-sized saucepan, combine two cups of blackberries, the cornstarch, vanilla bean seeds, and granulated sugar. Cook over medium heat, using a silicon spatula or spoon to mash the blackberries. Once the mixture comes to a low boil, stir every couple of minutes. Let the mixture cook until it becomes a jelly-like consistency, about 8-10 minutes. Remove from heat. Fold in the rest of the blackberries and cherries. Preheat the oven to 400 degrees and fit a pie plate with the other pie crust. Pour the filling into the crust and smooth it out as much as possible. Drizzle with honey. Place the Death Star pie dough on top and place the pie pan on a baking sheet. Bake uncovered for 10 minutes. (At this point, the edges of my pie were golden brown, but the Death Star wasn't, so I covered the edges of the pie with foil. Once the Death Star was golden brown, I laid another piece of foil over the whole pie.) The pie will need to bake for a total of 45 minutes. Oh my gosh how fun! You always have such creative ideas for movies and such! And I’m obsessed with blackberries (both fresh and frozen) right now so I know this would be delicious! HA, I love this. Happy May the Fourth! 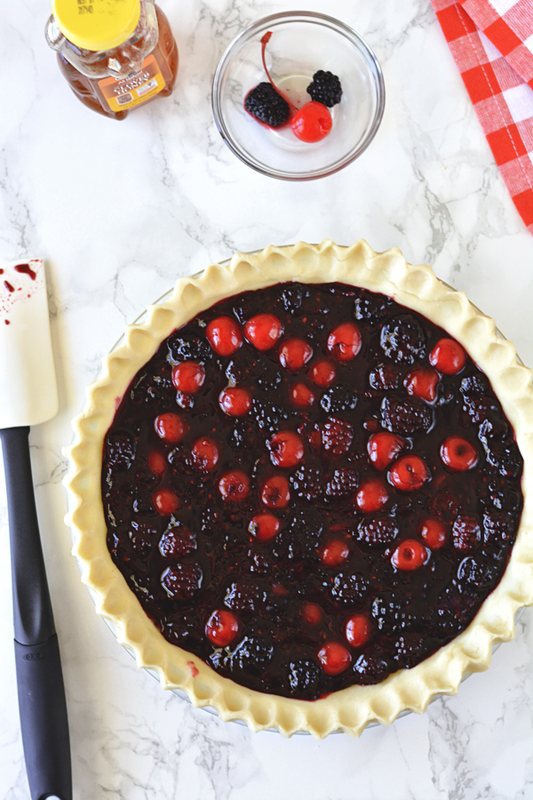 This pie looks so so good and I love the pop of red from the cherries. 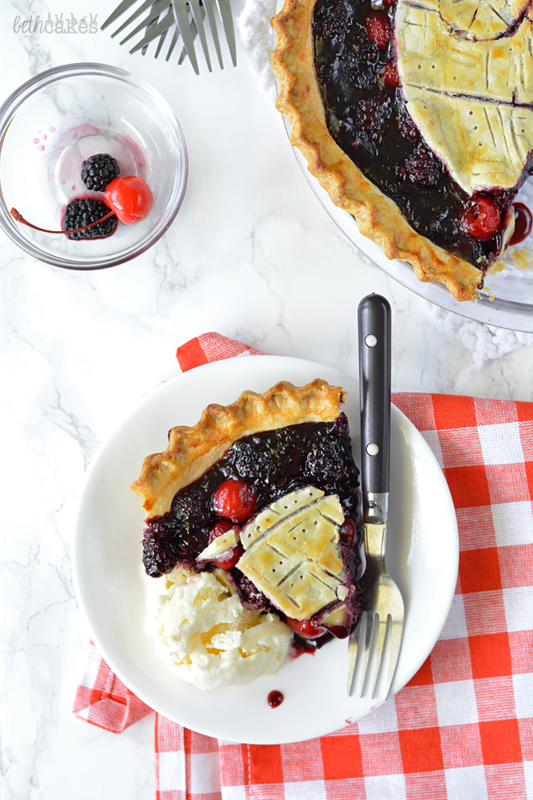 I’ll have to make this for my mom – blackberry pie is her favorite 🙂 pinned! 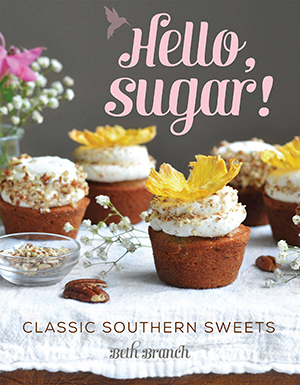 Wow, how so very smart and delicious looking and love the creativity! It’s obvious the force is strong with you my child! This is the best thing I have seen all day! You are always so creative, Beth. I love that this pie is packed with fresh blackberries too. 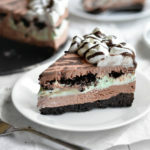 I’ll take one slice, please! You are the best!! I just showed this to the hubs and he had a huge grin on his face. I love the mixed berries with cherries. Gosh I am excited for pie baking season!! 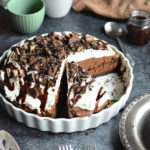 This pie is insane! So creative, I love this! I can’t believe I missed out on celebrating star wars day! 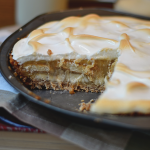 This pie is epic and I can imagine tastes delicious too. 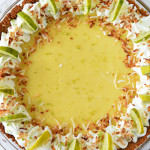 This pie is too fun!!! 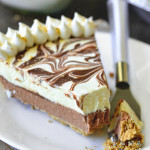 I am in love with this pie! You would think with my love for Star Wars and the fact that my birthday is on star wars day that my blog would be full of star wars themed foods. Sadly I always find myself being sidetracked by sprinkles and peanut butter when that day finally comes around. 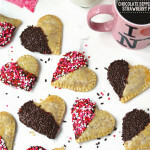 But I need to just turn those same sprinkled peanut butter goodies into a star wars inspired treat as you did here. I know exactly what you mean, I once spent 30$ on fresh berries for a pie, that is crazy, I would rather buy frozen anytime possible! Your pie is gorgeous and I am in love with the flavor combo.